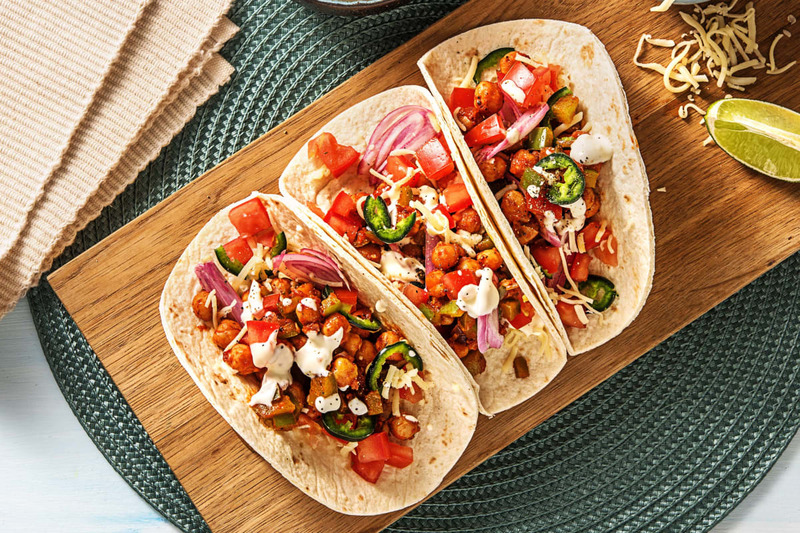 Our chefs took a traditional meat-based taco recipe and turned it into something that’s completely veg-friendly and just as satisfying. It uses chickpeas as the main protein, and they become all the more hearty when simmered in a warmly spiced tomato sauce. 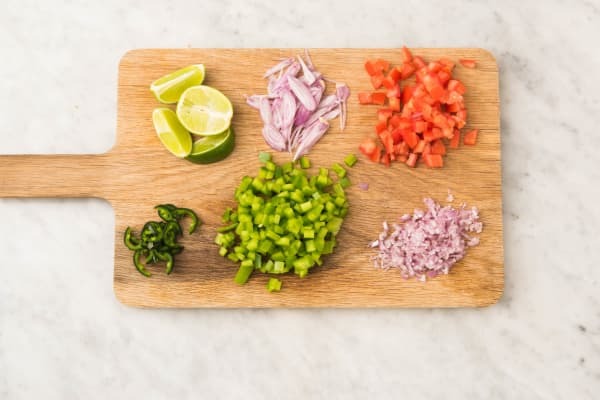 They’re joined by add-ins and toppings like poblano pepper, pickled shallot, and Monterey Jack cheese, making them a winner on Meatless Monday or any other night of the week. Wash and dry all produce. 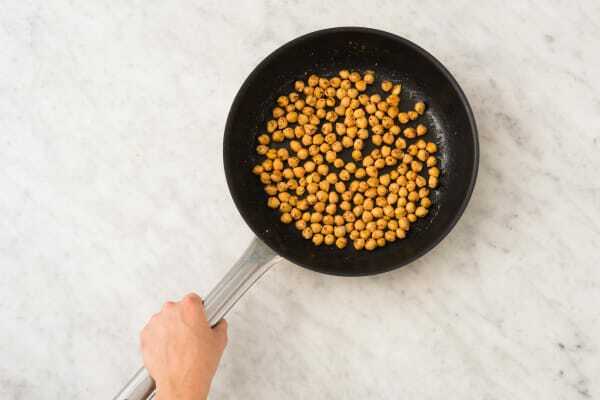 Drain and rinse chickpeas. Halve and peel shallot. Finely chop one half; very thinly slice other half from root to stem end. Core, seed, and finely chop poblano. Core and dice tomato. Halve lime; cut one half into wedges. Thinly slice jalapeño, removing ribs and seeds first if you prefer less heat. Heat a large drizzle of olive oil in a large pan over medium-high heat. Pat chickpeas dry with a paper towel. Season with salt, pepper, and half the Southwest spice. Add to pan and cook, tossing occasionally, until lightly browned and crisped, 4-5 minutes. Transfer to another medium bowl and set aside. Heat another large drizzle of olive oil in same pan over mediumhigh heat. Add chopped shallot and poblano. Season with salt and pepper. Cook, tossing, until softened, 3-4 minutes. Return chickpeas to pan and stir in remaining Southwest spice, 2 TBSP tomato paste (we sent more), and ¼ cup water. 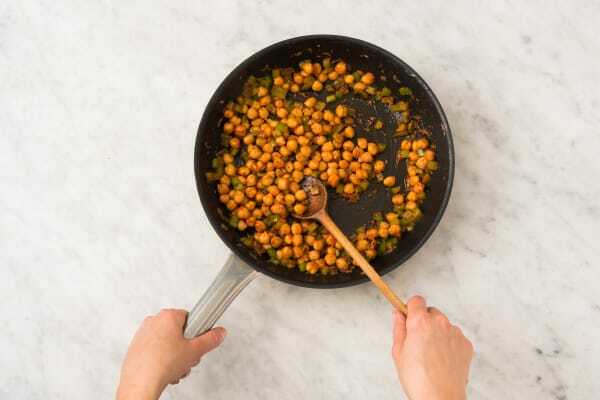 Cook, stirring, until chickpeas are coated in a thick sauce, 2-3 minutes. 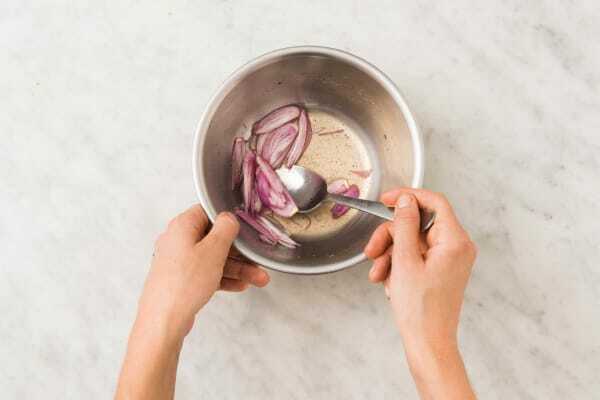 Stir together sour cream and a squeeze of lime juice in a small bowl. Season with salt and pepper. Stir in a splash or two of water, or enough to give mixture a drizzling consistency. 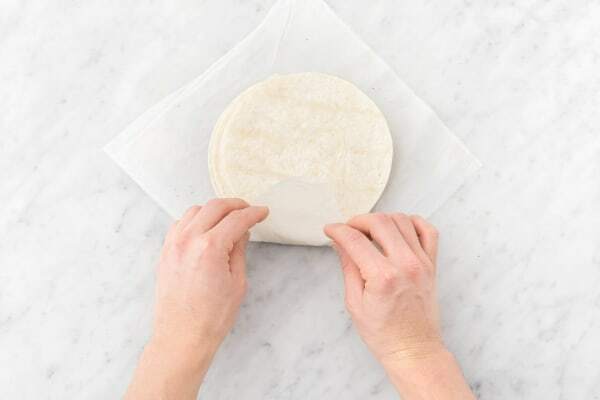 Wrap tortillas in a damp paper towel and microwave on high until warm, about 30 seconds. 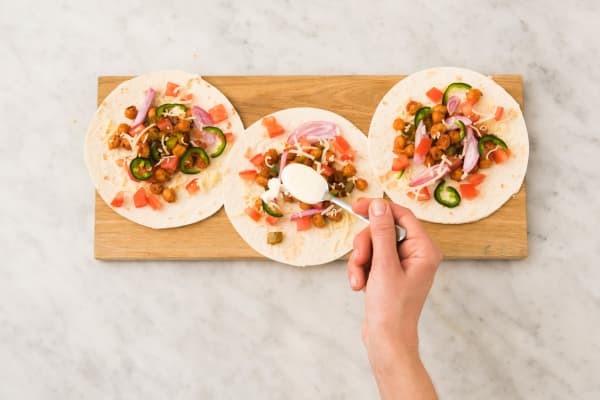 Divide chickpea mixture between tortillas. Top with tomato, cheese, pickled shallot (to taste), and crema. Garnish with jalapeño if desired. Serve with lime wedges on the side for squeezing over.